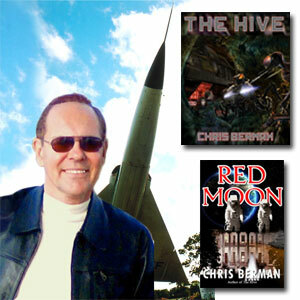 In episode 13, The Genre Traveler chats it up with author Chris Berman, discussing his alien invasion novel The Hive and his moon colonization novel Red Moon. We even get a sneak preview of his upcoming novel, Star Pirates. Along the way we talk about how army ants might be a good model for space-faring aliens, whether the world will end in 2012, basing characters on real people, when do you know you’ve researched enough and the possibility of intelligent life on other planets. To help defray the cost of hosting the podcast, archived episodes greater than four months old will be made available for sale at $0.99 per episode. For previous episodes, go here. Podcast Episode 6: Could Alien Astronauts Survive a Trip to Earth?